Your wedding day is the ultimate celebration of your love for each other. That once-in-a-lifetime event you've been dreaming of; shared with your family and friends and creating memories that will last forever. We know how important this day is to you, and how important it is for everything to be right - because there is no re-do button for your wedding. Let our experienced, award winning service take the worry out of the planning so you can focus on enjoying your very own fairy tale. From I Do to the last song of the night, our DJ and Master of Ceremonies team will keep everything moving smoothly. Fun times, fun props, and memories you'll get to keep forever. Our photo booths are the perfect addition to your event. 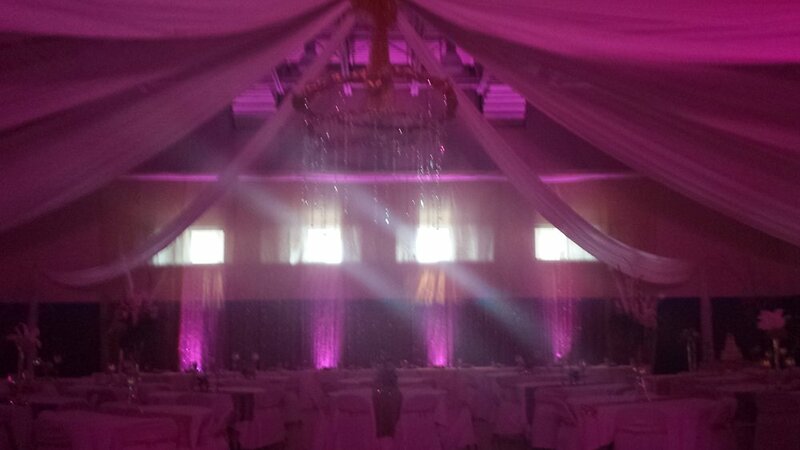 Nothing changes the "feel" of a room and an event like lighting. From a little ambiance to a whole room transformation - we can help. Your ceremony, done your way. The only rule is that you say "I Do". Let's get started planning your perfect day.